Hello everybody! How are you? I'm enjoying the sunny day we have today. It's still very cold, but beautiful too. We finally got snow a couple of days ago and now everything is white. Perfect for this time of the year. I just hope the snow will last til Christmas. 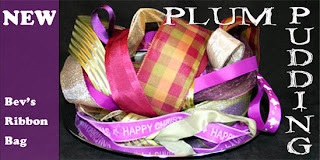 Today started a new challenge at Crafty ribbons challenge blog. Tessa and Anke made this wonderful sketch for our 9th challenge. My lovely teamies created wonderful card for your inspiration so jump over to Crafty ribbons challenge blog to have a look at them. Another Christmas card, of course. ;) I inked the cute Penny Johnson's stamp from Stampavie and colored the image with Promarkers. On the white parts of Santa's dress and hat I used diamond Stickles. I raised the image with foam pads. The gold and red dotty paper are from Folia and the blue paper is from my stash. I embossed the white paper with Cuttlebug's Swiss dot embossing folder. The doily is from my stash and the Let it snow ribbon is from Crafty ribbons. You can find it here. The prize for this challenge is Bev's bag. We hope that many of you will come and join our challenge. We are looking forward to see your creations! Really fab Cebelica, love the doily and ribbon! Wow Cebelica this is gorgeous I adore that image of Santa and the little doggy, the doily, papers and ribbon look superb. Gorgeous card sweetie love the image. Bet everywhere looks so pretty I love it when it snows & everywhere is beautiful & white, I hope it stays so you have a white christmas hun. Hope you have a fabulous christmas & all the very best for 2012 hun. Beautiful Christmas card. Thanks for joining us at PfP.